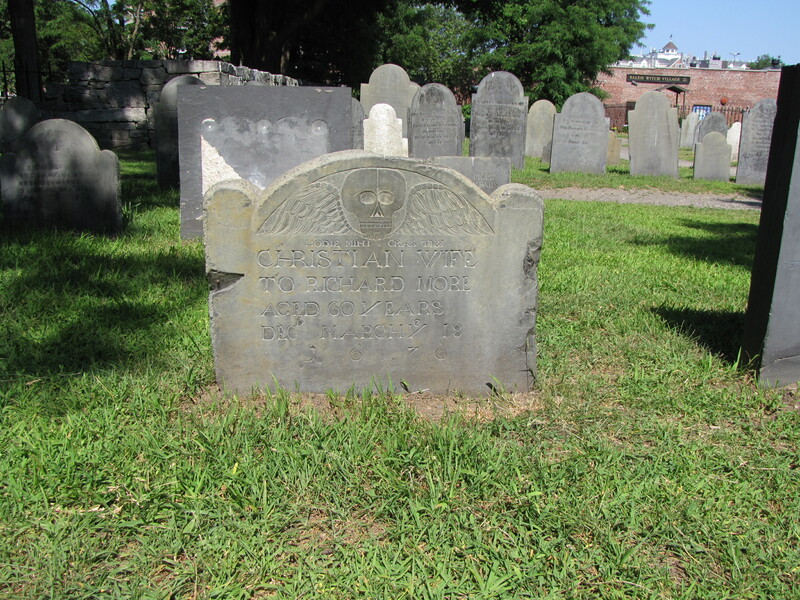 Two things strike me immediately about this gravestone in Burying Point, the first place set aside in Salem, Massachusetts, in 1637, for burials. 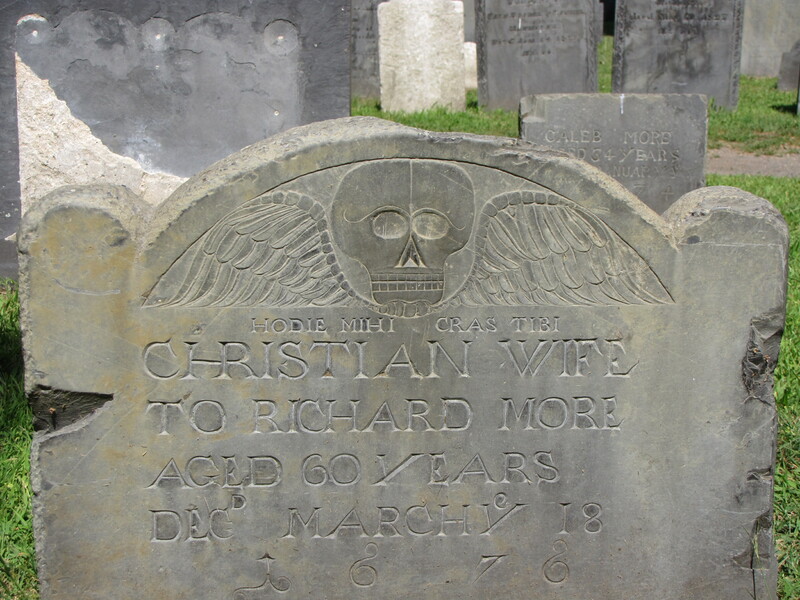 First, we don’t know the name of Richard More’s wife—only that she was a Christian wife to him. As if the skull with wings topping this slate tombstone wasn’t enough to make the passerby contemplate death and mortality, the gravestone carver added an additional message to remind us of our impending doom.